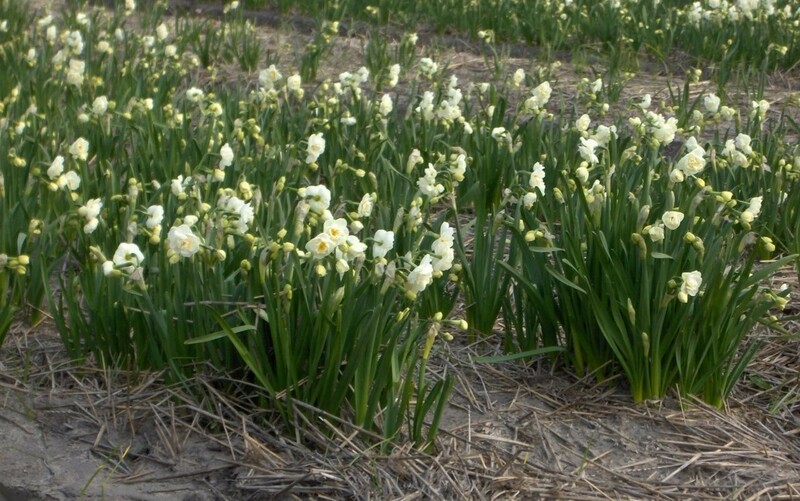 Didn't have time to plant bulbs in the garden in autumn and now wish you had? 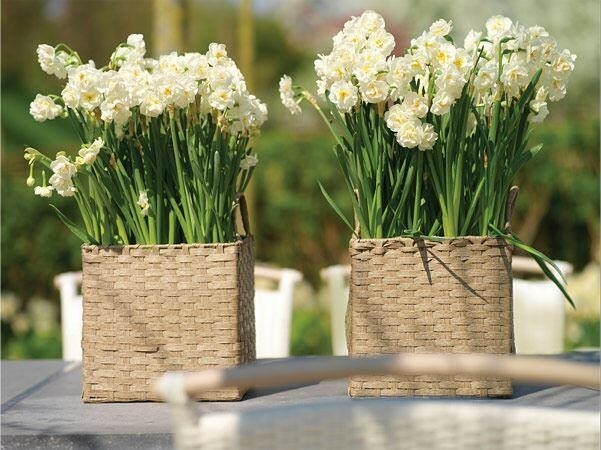 Want something cheerful for a patio planter or a windowsill indoors whilst the weather is not so nice outside? Then these are the perfect solution!! 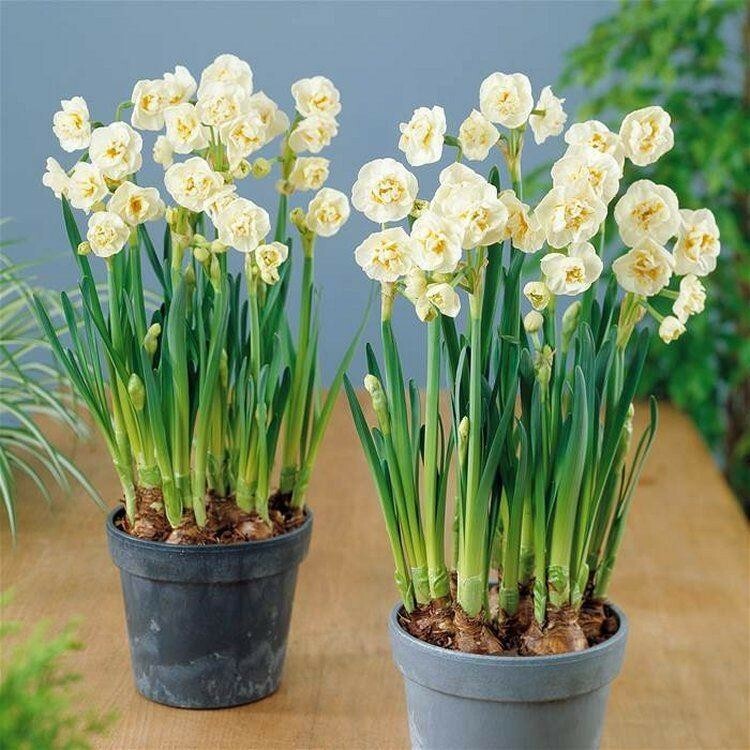 Ward off winter blues by growing these beautiful pots of fragrant Narcissi bulbs indoors. 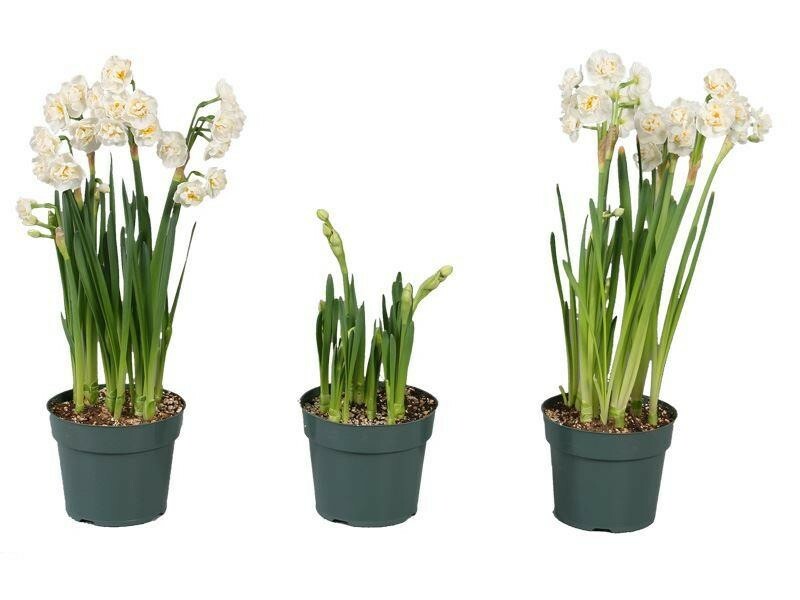 Bridal Crown bulbs grown indoors will kindle thoughts of spring, and are exceptionally fragrant flowers which can be cultivated in pots or dishes containing either pebbles and water, or soil. Delivered to you ready potted, growing away and forming buds, they'll bring joy this year, and every year if planted out in the garden. They can of course be enjoyed in patio planters or indoors first if you don't want to add them to the garden right away. 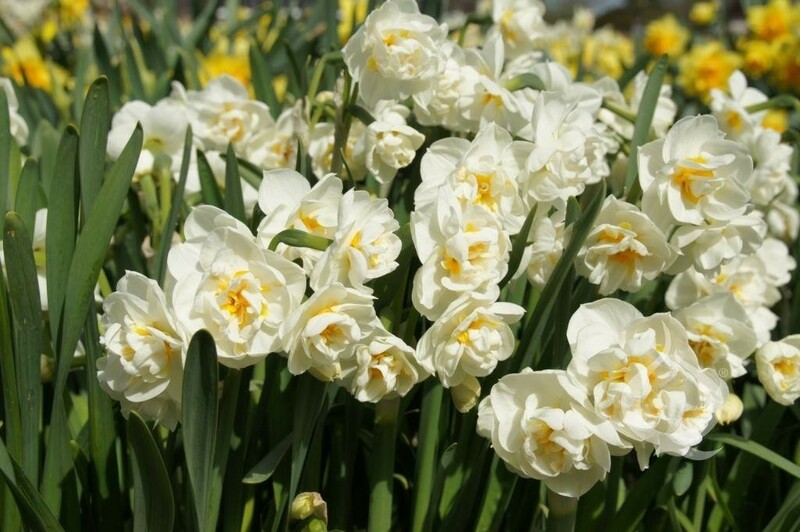 This special variety produces a perky cluster of creamy white flowers multi-petalled double flowers with a soft yellow glow of inner petals. The fragrance is outstanding, and if kept to flower indoors can fill a whole room. They make a superb addition outside in the garden too and are ideal for naturalising under trees, amongst Hellebores and other seasonal flowers. Supplied as a Pack of two lovely approx 1 litre pot fulls.